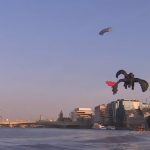 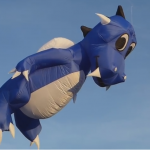 Another great video of the Toothless Kite that we made for 20th Century Fox’s ‘How To Train A Dragon 2’. 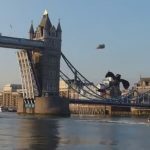 Flying through Tower Bridge in London. 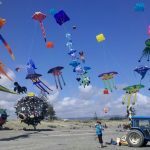 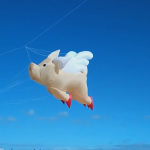 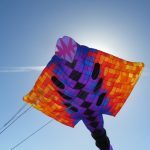 The Toothless Kite is 18 meters long and has a wingspan of 11 meters. 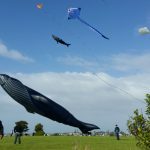 The kite flyers on the day were Blake Pelton, Peter and Elwyn Lynn, Simon and Lyndall Chisnall and Paul Reynolds.